A new bombshell dropped Friday in the race for California’s 52nd Congressional District when both candidates confirmed a Carl DeMaio campaign strategy book, allegedly stolen during an office break-in, found its way into the hands of incumbent Scott Peters’ staff. It is the latest revelation in an already ugly race peppered with attack ads and sexual harassment allegations. The two had a chilly meeting Friday morning at a taping of NBC 7’s Politically Speaking, as DeMaio walked right by Peters’ hand outstretched for a handshake. 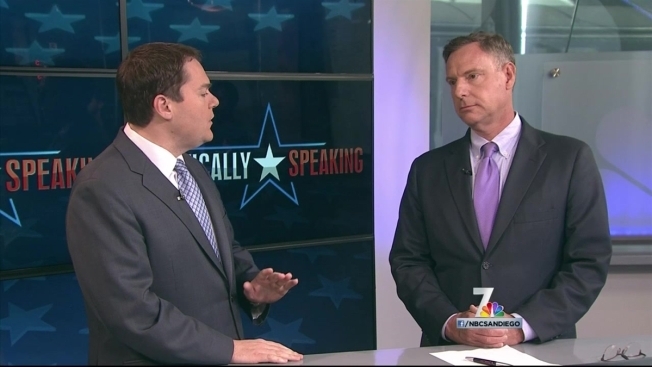 At Friday's taping for NBC 7's Politically Speaking, U.S. Rep. Scott Peters extended a hand to challenger Carl DeMaio. Watch the discussion between the two candidates on Sunday, Oct. 19 at 9 a.m. on NBC 7. During the session, DeMaio discussed the burglary and vandalism at his campaign headquarters on May 28. Cords and cables were cut, water was poured over laptops and printers, computer screens were smashed in and one important item was taken: DeMaio’s campaign playbook. “And Mr. Peters, I just want to ask a very simple question. Did your campaign come into possession of our strategy book, all of our direct mail pieces in the last five months?” asked DeMaio. 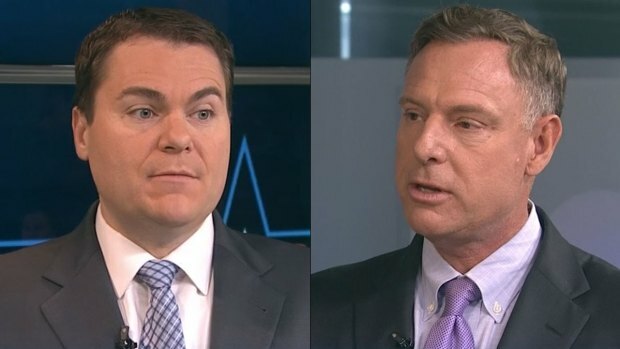 U.S. Rep. Scott Peters and challenger Carl DeMaio discuss the sexual harassment allegations made by a former DeMaio staffer and a break-in at the DeMaio campaign headquarters on "Politically Speaking" with NBC 7's Gene Cubbison. DeMaio pressed the issue, asking Peters why he did not let his opponent’s campaign know that he had seen DeMaio’s playbook all along. 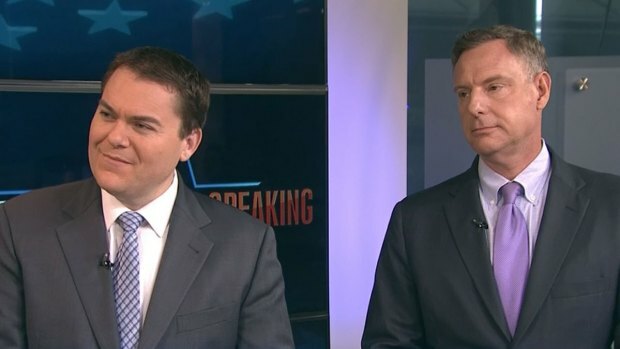 U.S. Rep. Scott Peters (R) and challenger Carl DeMaio discuss negative campaign ads in the 52nd District race on NBC 7's "Politically Speaking" with Gene Cubbison. 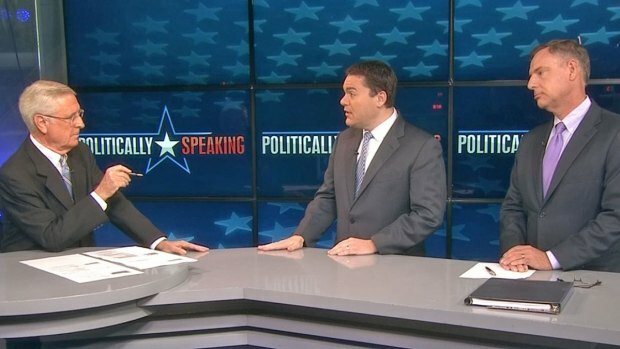 Carl DeMaio (L) and U.S. Rep. Scott Peters discuss the issues with NBC 7's Gene Cubbison on "Politically Speaking." During the show's taping, Peters said he felt as if he had been cast as the perpetrator of the break-in, which was portrayed with Watergate-like overtones when it first happened. DeMaio told his opponent he does not believe Peters had anything to do with the burglary. Instead, he blames former aide Todd Bosnich. Bosnich has publicly accused DeMaio of sexually harassing him while he worked for the former San Diego City Councilman, releasing the results of a polygraph test that he says support his claims. Called the allegations “outrageous lies,” DeMaio said Bosnich is trying to get revenge for being fired as a suspect in the break-in. However, the candidate said he will not take a polygraph exam to rebut Bosnich’s allegations. CNN reports Bosnich's lawyers sent the news outlet the results to a second polygraph test Friday in which Bosnich was asked if he broke into the campaign headquarters last May. The test shows Bosnich's "no" answers were "truthful and found "no deception." Bosnich confirmed the story to NBC 7 via text message. DeMaio's spokesman David McCulloch defended the candidate, saying in a statement, "Both Carl DeMaio and Tommy Knepper — named in a series of vile smear attacks — have taken lie detector tests that have shown these smears are baseless. Meanwhile, Mr. Peters admitted on NBC7/39 this morning that his campaign received stolen property from our campaign — begging the question: who provided this sensitive campaign material?" McCulloch later clarified that statement that the lie detector test taken by DeMaio was one in August 2013 after a former colleague accused DeMaio of lewd acts in San Diego's City Hall.